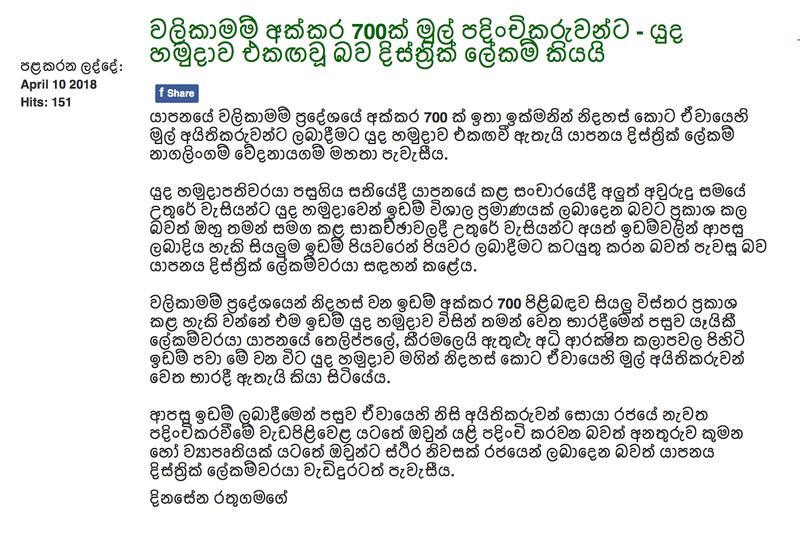 According to District secretary of Jaffna, 700 Acres of land in Jaffna - Walikamam area to be released by Sri Lanka Army. 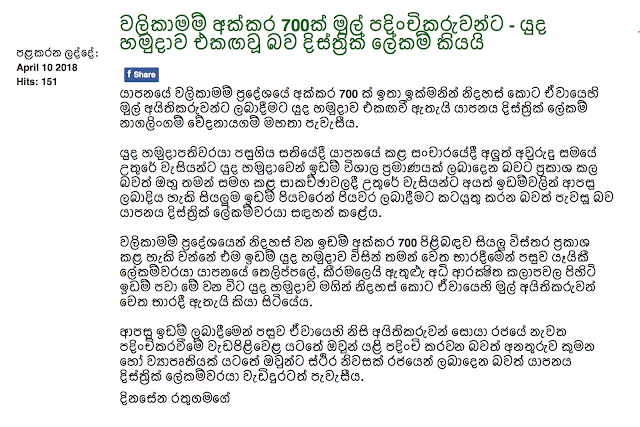 This has been revealed by army commander while a visiting in Jaffna peninsula. Thelippalei and Keeramalei lands which were in high-security zone previously have been released so far.